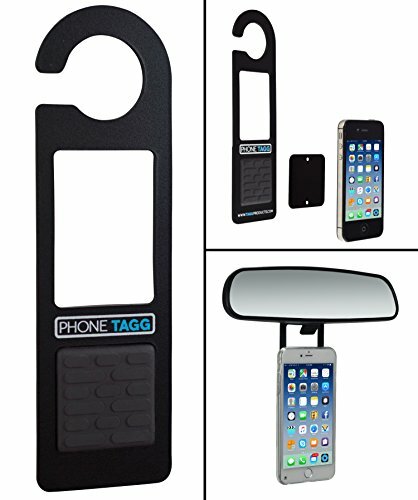 Phone Tagg Universal Magnetic Smartphone Holder for Car Rear View Mirror (ALL NEW "NO SWING"
Phone Tagg (All new "NO SWING" design) is the quickest, easiest, and strongest way to securely hang your mobile device! Phone Tagg makes it easy to talk hands-free, follow your GPS, listen to your favorite music, view your notifications and safely keep your device in place while driving. Made of indestructible, high quality, state of the art materials, our magnetic cell phone holder puts an end to failing suction cups, blocked vents, and misplaced devices. Compatible with almost any smartphone, you simply attach the thin metal plate provided to the back of your device, hang it from your rear view mirror and you are good to go. Your device will always remain in your preferred position. To remove your phone, grip the phone at the top with 2 fingers and pull toward you. Phone Tagg is also great for the office, home, kitchen, gym, or anywhere else a hanging device is needed. Extra metal plates can be purchased and are great for new devices or family members! Features: * We 100% Guarantee item quality. Refund no reason. 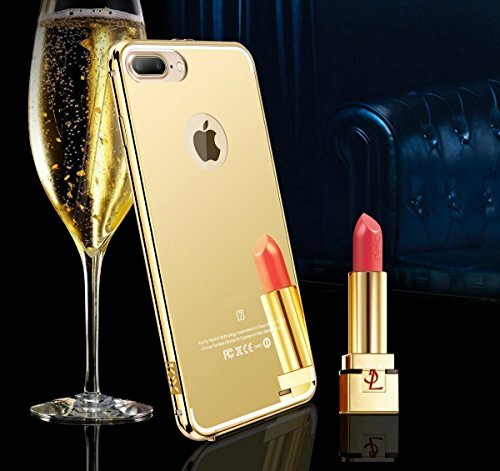 * There are two parts of the case: Luxury Air Aluminum Metal Bumper + Mirror effect electroplate Plastic Back (Two in One) . * Protect your phone from dust, scratching and stains* Provides a comfortable grip,added protection against accidental drops. All function work well even your phone was in this case. 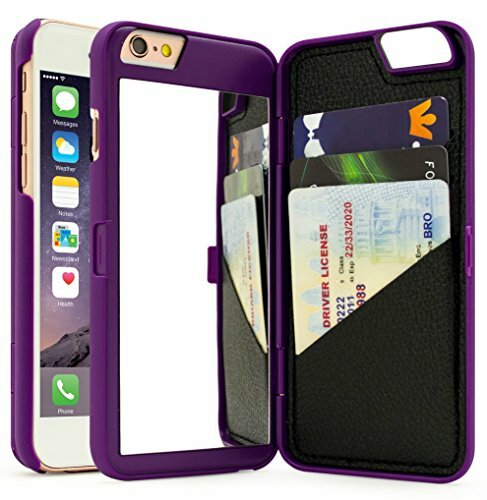 Description This case is made by Aluminum Metal frame & Mirror back. You Can Use Item As Mirror. The Bumper is detachable and it's easy to snap on/off, which can protect your phone from scratching. Drawer-type structural design makes your Phone to be only fashion, and bring you unforgettable experience. It Perfectly matches with your Phone's shape, Easy to use, light weight, Elegant construction and stitching. Slim but tough. It is designed to meet or exceed military standards. Simply snap the case onto your phone for solid protection and direct access to all device features. 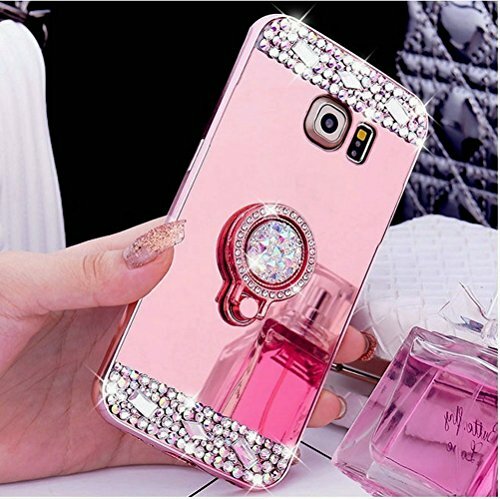 Description: Precise alignment hole of camera will help you record every beautiful moment What is more,it is the best gift for your lover and family Package Included: 1*Samsung Galaxy S7 Edge case Shipping Way: It ships from China by USPS with tracking information in 7-20 days We promise to give a full refund or exchange to you if any problem after that Please contact us by emails if anything wrong. 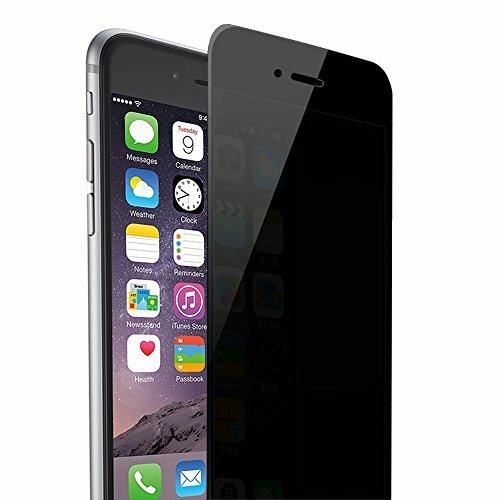 Compatible Model(s): iPhone 6 (4.7 inch) Package include: 1× Privacy Tempered Glass Screen Protector 1× Alcohol Cleaning Wipe 1× Microfiber Cloth 1× Dust Removal Tape 1× Retail Packaging Reminder: Please turn up the brightness on your display, as Privacy Screen Protector will darken the image on your phone. Kindly Note: If bubbles do not disappear or received the cracked item, please feel free to contact us as soon as possible. Don't worry. We will shipping the new one to you! Our Selfie Stick is designed with FUN, FUNCTIONALITY and PERFORMANCE in mind. The highly adjustable and removable mounts guarantee you will have universal compatibility for your phone and other devices. 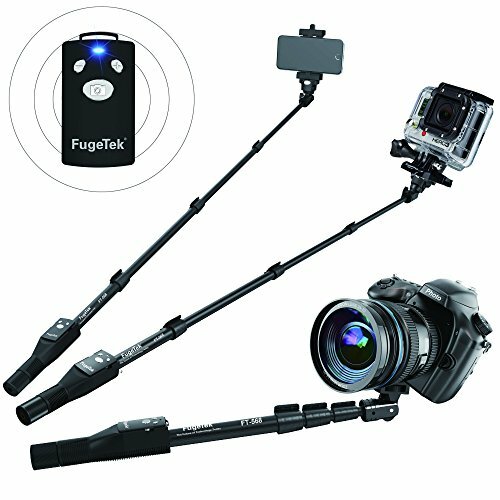 Why Our Professional Selfie Stick Surpasses The Competition This fully adjustable selfie stick enables a wide array of unique and spectacular photography options. Don't believe us ?? Read The Reviews! This is the latest updated model FG-568 Selfie Stick. WITH MORE ACCESSORIES AND NEW FEATURES ! You Asked For It, We Heard You! Check Out What's New. NEW - 2 Removable Interchangeable Mounts. One Mirror Mount - No need to look at phone screen. Can use phone's rear HD camera! One Screw Tight Mount - Now you can tighten the mount on your phone and lock it. No slippage or drops! NEW - 1 GoPro Screw NEW - 1 GoPro Adapter NEW - Revised Manual With Photo Tips Same great design, more features and accesories for your money! What are you waiting for? Rated #1 Professional Selfie Stick On Amazon! Compatible Model(s): iPhone 6 plus (5.5 inch) Package include: 1× Privacy Tempered Glass Screen Protector 1× Alcohol Cleaning Wipe 1× Microfiber Cloth 1× Dust Removal Tape 1× Retail Packaging Reminder: Please turn up the brightness on your display, as Privacy Screen Protector will darken the image on your phone. Kindly Note: If bubbles do not disappear or received the cracked item, please feel free to contact us as soon as possible. Don't worry. We will shipping the new one to you! 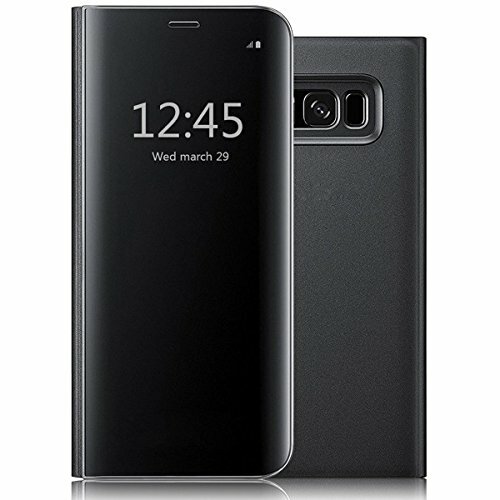 Looking for more New Mirror Phone similar ideas? Try to explore these searches: Gold Bag, Daito Samurai Sword, and Motorola Extra Capacity Battery. 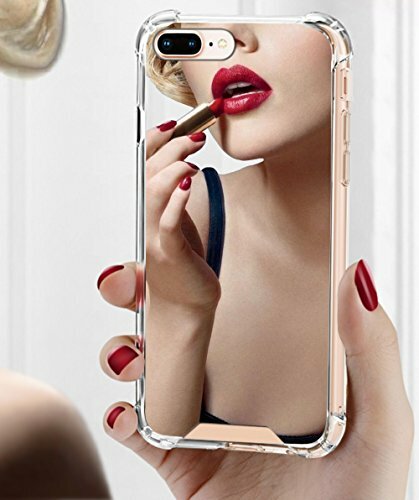 Shopwion.com is the smartest way for comparison shopping: compare prices from most trusted leading online stores for best New Mirror Phone, Beech Spaghetti, Interchangeable Bracelet, Phone Mirror New . 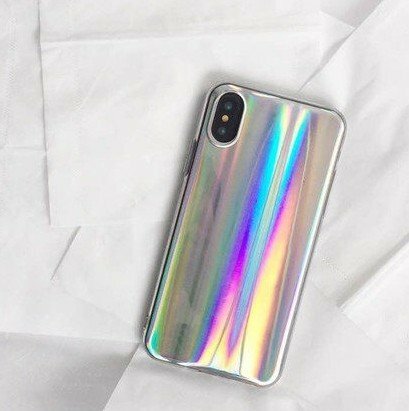 Don't miss this New Mirror Phone today, April 23, 2019 deals, updated daily.